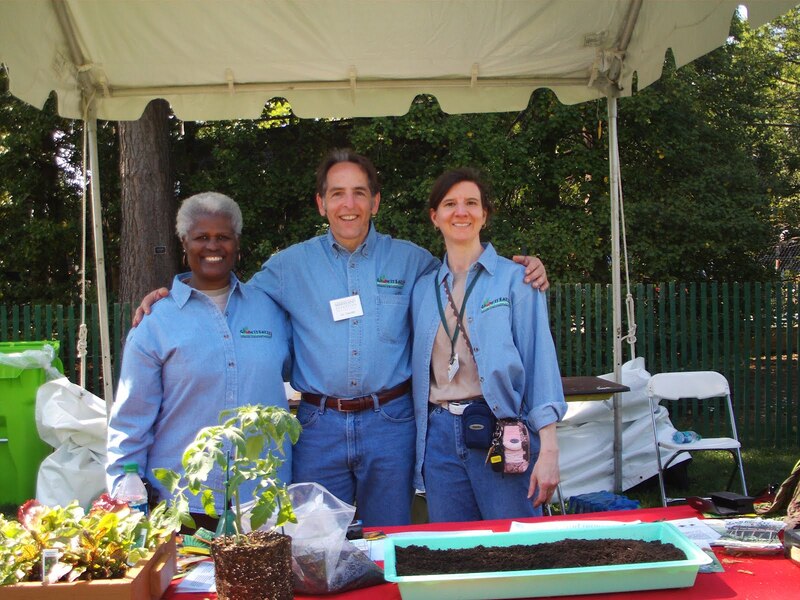 This year, for the first time, the Maryland Master Gardeners had a presence on the South Lawn of the White House for the Annual Easter Egg Roll! Prior to the event Jon Traunfeld, our fearless Statewide Master Gardener leader, caught up with Charlie Brandt – the White House Beekeeper (who knew? ), who arranged for us to be there to talk with the visitors about Grow It Eat It. Mercifully, I was assigned to the afternoon shift. The morning shift, bravely staffed by Extension Office personnel Ria Malloy, Robin Hessey, Lynn Jacobson, along with Jon had to be there by 7 AM. Yikes! But they were dauntless, and they showed up with live vegetable plants, harvested vegetables, and lots of GIEI cards and seeds to give away. I arrived at lunchtime, but was unable to get on to the grounds because Mrs. Obama was socializing with guests and thus there was a complete lockdown until she departed safely. So I didn’t get to see the First Family, but Jon and the gang did. 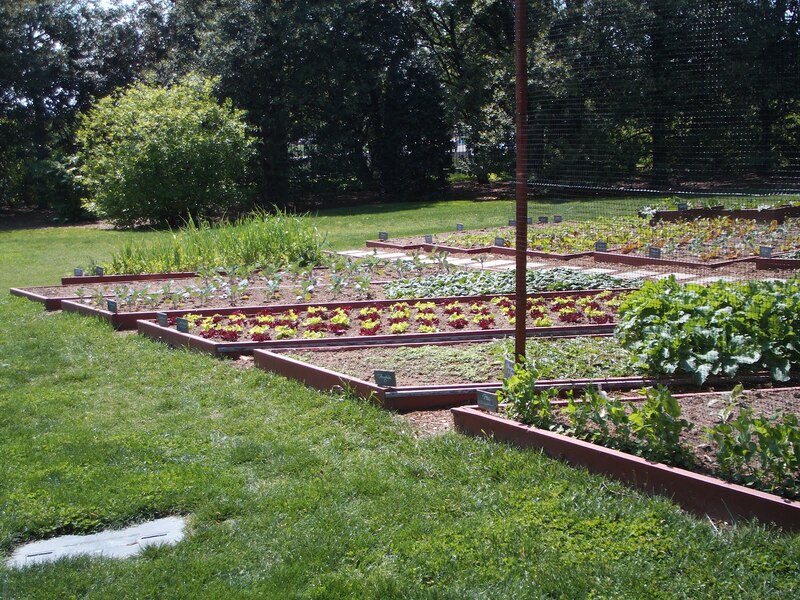 I believe they also got a tour of the White House Garden, which was just behind the area where we had our display. Nice, huh? Our table was basically in front of the garden, but separated by a snow fence so folks couldn’t wander through. Speaking of which, here’s our table, being showcased by Prince George’s County’s own Esther Mitchell: You can see the beautiful salad box on the left, a tray of potting soil in the center in which children could plant bean or pumpkin seeds (for some reason they greatly preferred pumpkin to bean), a shadow box of mounted wasp and bee specimens, and a basket of fresh veggies. I have to say that I was genuinely impressed by the enthusiasm that the vast majority of visitors expressed about growing their own vegetables. 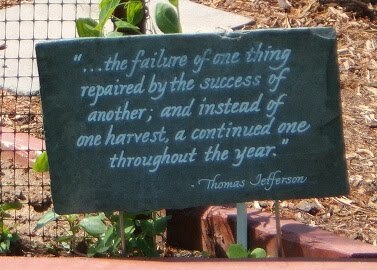 Some were seasoned gardeners; many were planning to try for the first time. The first-timers, in particular, were so grateful to be given the leafy green seeds and the GIEI information. They generally left the table more excited than when they approached, and I like to think perhaps a little more confident that they could succeed. Special mention goes to Jon, who awoke at 3:45 AM to arrive early for setting up, and then staying until the last guest left at 6:45 PM! You’re a real trooper! Once I finally got inside, I, too, remained until closing as well to help Jon close up shop. Personally, though I was pretty beat by the end, I found the whole day energizing – I love it when people get excited about growing veggies! Thank you for doing this. 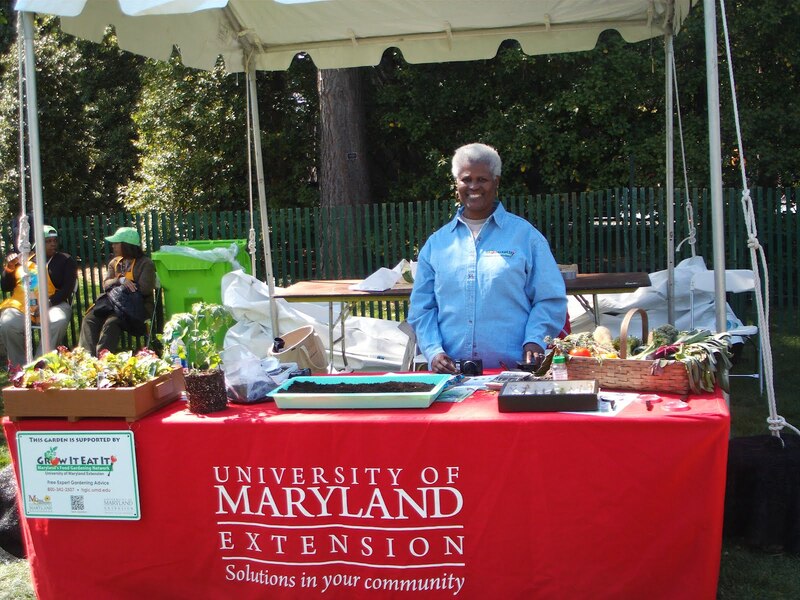 I'm a Maryland vegetable gardener and enjoy following this blog. I learn more about gardening every year and get joy from eating what I grow. And I'm glad you're sharing that, especially with kids. 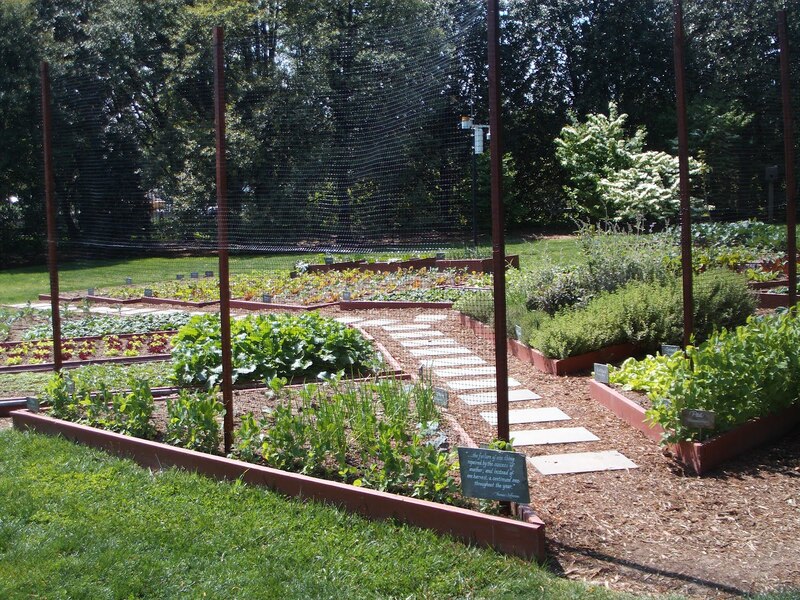 What a great way to reach out to the next generation of veggie gardeners!